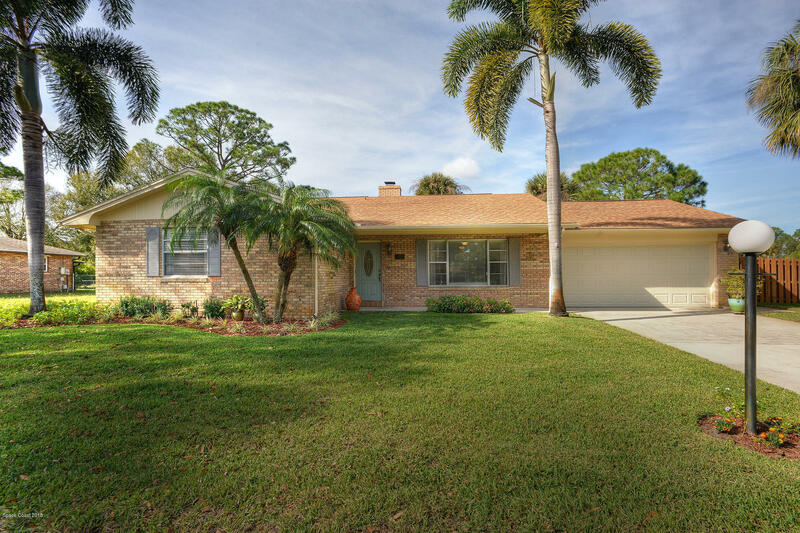 Move in ready pool home waiting for you to make this house your home. Home features formal Living/Dining with loads of nature lighting. Kitchen boasts 42' maple cabinets, breakfast nook and ceramic tile flooring. Spacious family room with wood burning brick fireplace and French Doors overlooking the sparkling pool. Master bedroom includes closets with built in shelves, master bath with vanity and tiled shower. Fully fenced backyard showcasing 8ft deep screened pool, patio slab and storage shed. New garage door and opener. Loads of storage throughout. Well maintained neighborhood with no HOA.